Skiing is an open-air sports. But the weather that hit the Åre the last two weeks have been perhaps in the most extreme team. Both snow and fog has caused problems and now has the SMHI also issued a class 1 warning for gusts over Jämtland to on Saturday. 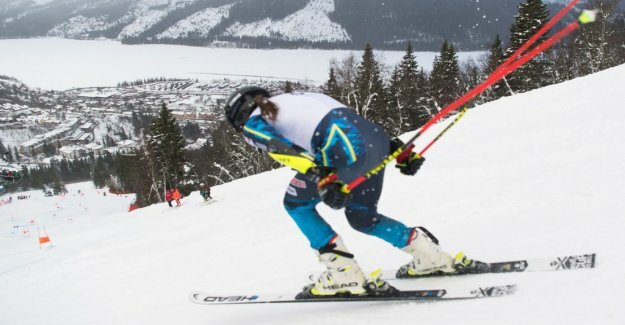 According to Niklas Carlsson, ceo of Åre world CUP, should the hard winds, however, not be a threat to the races. In the case of an emergency, two races run the same day if necessary. "It is plan B. But I think we have great conditions to clear the last of the four branches as planned," says Carlsson to TT. – the Forecast is a bit difficult to read, but we take it one day at a time. during the Wednesday and the forecast ahead of the women's giant slalom on Thursday are temperatures of around 7 degrees. It doesn't sound like particularly good conditions for alpine skiing world CUP. Especially not if the snow in the women's storslalombacke is that ”white sugar”, as Hans Olsson described it in the past. at the same time is mildvädret perhaps the best thing that could happen for the substrate. Around zero degrees, it is difficult, when the snow freezes and the salt doesn't bite, " says Hans Olsson.